The old adage “give a man food he eats for a day, teach a man to fish and he eats for life” is happening…Proactive, grassroots movements such as these are a true inspiration! One of them is the Community Food Bank of Southern Arizona, based in Tucson. Among the many programs it runs is Las Milpitas de Cottonwood, a community farm located in one of the city’s lower-income neighborhoods. More than 50 families have garden plots there. Most, like Jamie Senik, who lives in a nearby trailer park, are regular clients at the food bank. Food bank client Jamie Senik takes a break near her garden plot sponsored by the Community Food Bank of Southern Arizona. She grows food for herself and her diabetic mother. Working under the hot morning sun, Senik says the ground at the farm might look hard and dry, but it’s good for growing. Her plot is surprisingly green. But then she gets to reap the benefits. Senik says the fresh produce is a big help for her and her mother, who has diabetes. Robert Ojeda, who oversees the program, calls it “part of a growing movement within food banking.” Ojeda says as the number of people seeking emergency aid continues to grow, food banks have started thinking about what more they can do to help their clients become more self-sufficient. Besides operating this farm, the Community Food Bank of Southern Arizona has helped about 1,000 people set up home gardens. It encourages those who grow more than they need to earn extra cash by selling the surplus at farmers’ markets, which are also run by the food bank. The food bank also trains people to raise chickens and bees. And president and CEO Bill Carnegie says it has programs to help local schoolchildren learn about nutrition and food. Community Food Bank of Southern Arizona President and CEO Bill Carnegie says the food bank uses this area to teach clients how to raise chickens. “I was at a little session, probably a year ago, with I think it was fourth-graders, and they were asked where carrots come from. Not one child knew that carrots grew in the ground,” he recalls. Many U.S. food banks are doing similar work, as they warily eye the future. They’re especially worried about efforts in Congress to cut federal food aid, including food stamps, which many of their clients use. Carnegie says you have to take a holistic approach if you want people to thrive. He says many of his clients need jobs, but they also have to be healthy enough to do them. “We’re one of the few food banks in the country that we only accept healthy foods being donated to us. We turn down truckloads of chips or truckloads of things that aren’t really considered healthy for people to eat,” he says. 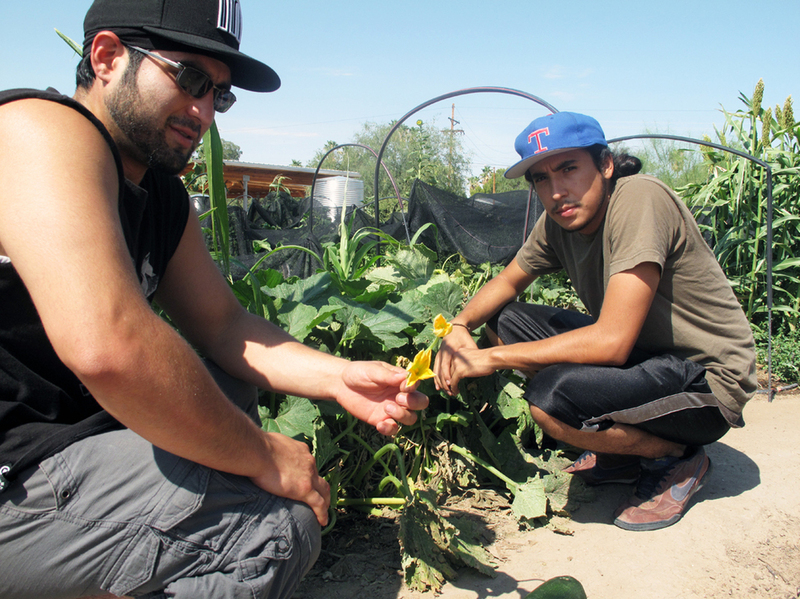 Back at the community farm, 22-year-old Efren Martinez pulls two huge green zucchinis out from under a plant. “These are really good to make zucchini bread with,” he says. Martinez has been gardening since high school and says there’s nothing like eating something you’ve grown. He and a few friends have taken over several plots here, so they can work with neighborhood kids to get them interested in gardening and the benefits that go with it. They’ve got only four takers so far, but Martinez hopes the idea will catch on. That’s another goal of the food bank — getting people here more involved in the well-being of their community. It hopes that also will eventually yield something good. Goth Barbies; the New Big Thing ? So how many of you are fans of the new Goth Barbies that come in Vampire and werewolf varieties (among others) ? Some say that these dolls represent a more progressive idealized female image that celebrates individuality. Perhaps they do, but why do their body measurements have to be impossibly skinny? Touted as more progressive and cutting edge than their “normal” Barbie sisters, Monster High dolls are taking the world by storm. But are they really a positive influence on the little girls who play with them? According to NPR, these so-called “Goth Barbies” are now one of the best-selling dolls in the world, second only to Barbie, which continues to reign supreme despite a recent dip in sales. 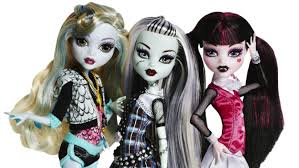 Manufactured by Barbie-maker Mattel, the Monster High dolls are the super-thin relatives of famous monsters. There’s dark-haired Draculaura and the blue-skinned zombie Ghoulia, werewolf Clawdeen and Spectra, the progeny of ghosts — among other characters. The dolls are being marketed as modern, relatable toys that promote acceptance and diversity. “The message about the brand is really to celebrate your own freaky flaws, especially as bullying has become such a hot topic,” Cathy Cline, Mattel’s vice president of marketing, told NPR. She added that the Monster High line has significantly boosted the company’s profits and is one of the fastest-growing brands in the toy industry. While some appear thrilled with the success of the Goth Barbies, others have expressed concern that the dolls aren’t quite as good for kids as they are hyped up to be. Instead of providing a valuable representation for children of other races and ethnicities, children who fail to conform to our rigid expectations of body-type, LGBT children and so on, Mattell has populated yet another fantasy universe with superficial, mostly white, wealthy (each of the three main characters is obsessed with shopping — and they all have famous dads) and boy-crazed teens. Monster High is not at all a departure from the norm: [I]t’s just more of the same. Her argument is not a new one. Indeed, as Fox news reported in 2011, the dolls’ revealing outfits, rail-thin bodies and heavy makeup angered some parents who felt that the toys had been overly sexualized. “This doll looks like a prostitute,” one parent said at the time. Also in 2011, blogger and mom Jeanne Sager lamented the skinniness of the Goth Barbies — specifically mummy girl Cleo De Nile. NPR’s piece on the Goth Barbies is part of a broader series on the impact of media and entertainment created for kids. Click here for more from the series — and tell us what you think of the Goth Barbies in the comments below.